Nikki confidently playing on the rocks with her KS dropper post! KS LEV Ci Carbon dropper post. Seriously, a dropper post is a game changer! No Matter the dirt discipline your cyclist enjoys, a reliable dropper post will make descending faster, obstacles easier, and smiles larger. The LEV Ci Carbon is so light we have it on our featherweight hardtail Pivot LES XC race bikes, so reliable we use it on our ultra-distance and stage racing bikes, and Emma even put one on her Pivot Vault CX bike to really whip around the off-camber hair-pin corners with confidence. Of course a dropper is right at home on our Enduro bikes too! KS Lev Ci Dropper Post Retail $460. KS does not sell Direct-to-Consumer so you can go visit your local bike shop to get your hands on one (they can also install it for you). Better yet, win one! Submit a reason the person you would gift this to really needs one by Sunday, December 2nd HERE. Include Good to the Last Drop on the first line of the comments section. The winner will be notified by December 7th and the story will be shared on our social media after the holidays. Hyperthread kits are stylish and sturdy enough to handle Jen’s monkeying around. We all have that riding partner who we try not to ride behind because their shorts are see-through thin and has so many holes in their kit that it’s embarrassing to be seen with them at a post ride pizza stop. Or how about when you go to get dressed and realize that all of your kits are in the dirty laundry pile? Solution, a kit from Hyperthreads! Hyperthreads Hyper Pro Jersey and Bib Retail $270, use our discount code HYPERKSKENDA for 50% off of a shopping cart with $250 or more! ** This discount is good for the first 15 shoppers** Even better, you can submit a pic of the person you want to gift a kit to (or self-gift) in their ridiculous “dirty laundry” riding outfit on on Instagram or Facebook by December 2nd to win one. Please tag @ks_kenda_women (IG) or @kskendawomenmtb (FB). We will sort through the submissions and post the finalists on our IG for public voting. Winner will be notified by December 7th! Emma is setting up her wheels with Happy Mediums for some gravel adventures. Kenda Tires has recently come out with a new tire called the Alluvium Pro. It is capable on pavement as it is on hard packed single track and gravel. Use these tires if you are a fan of chasing sunsets on all-day gravel adventures (that may include a touch of single track) with a group of friends that include stops to eat pie! 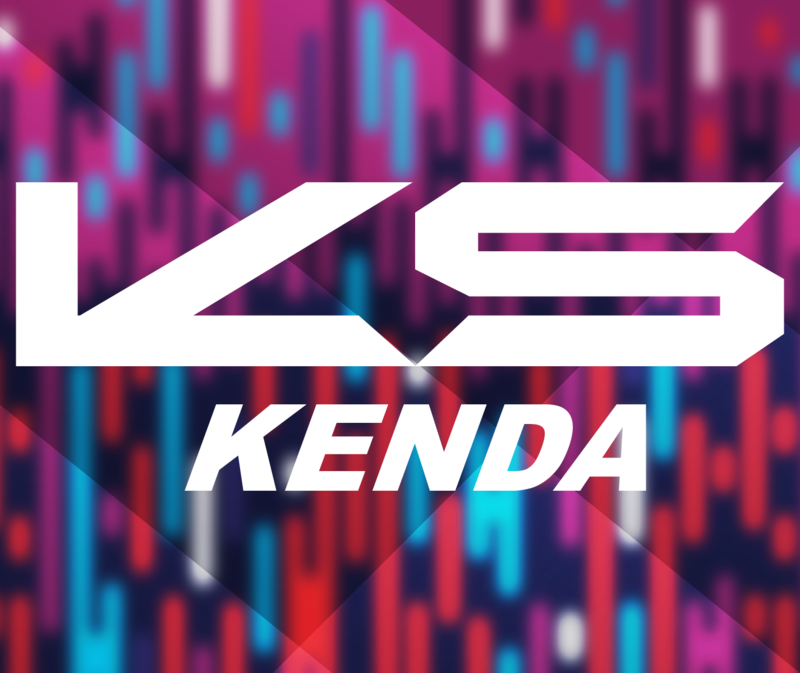 Kenda Tires Happy Medium retail $49.95 and use our discount code KS-HOLIDAY25 for 25% off of your order. Nikki’s bike sporting some gold bling. Some people just love something sparkly under the tree. How about a gold chain, for the bike! Not only do these chains prolong the life of your drivechain, but they will shave some grams from your bike too. KMC X11SL Ti Nitride Chain Retail $75 and use our discount code KSKENDA30 for 30% off your order. Emma’s all smiles with toasty toes. Lake Winter Riding Boots are a game changer if you plan to ride in the cold. Commuting,fat biking, road miles, you name it – these boots will get you playing bikes year-round. Warning: your trainer may collect dust. Mix and match colors or go for just one. Either way let your personality shine through! ESI makes grips in every color of the rainbow! Grips that match the frame or a rider’s favorite color is an eye catching statement and can freshen up the look of any pedaling machine. ESI Chunky MTB Grips retail $15 and use our discount code FREESHIPPING for free shipping on orders of $45 or more. Code is good through Cyber Monday. Jen’s flashy bike tricks need flashy socks. You can never have enough cycling socks and HB Stache has some of the coolest and brightest designs we know of. They also have great non-wool winter sock options and for every two pairs of socks they sell, a pair is donated to the homeless! You could put coal in them for that cycling partner who is naughty (pirate trails, down on the uphill only, borrows your bike and returns it filthy…). Handlebar Mustache Socks Retail $16 and use our discount code THANKS25 for 25% off your order. Some of the spots of the QSE course call for mid-ride celebration. We are going to race Quebec Single-track Experience in August. This is a must do for anyone who wants to ride incredible terrain fully supported for a week and enjoys riding with really cool people. Quebec Single Track MTB Stage Race All Inclusive Package Retail $1500 and use our discount code EMMA150 for $150 off your entry. Tasco kit, Lazer helmet, Lake shoes, ESI grips, and Pivot bike all in eye-catching blue. Tasco glove and sock kits, Double Digits, come in all sorts of hip designs and colors to spice up a neutral-looking kit, add some personality to your team kit, or be completely matchy-matchy! KSKendaHoliday good for 20% off all items, even sale items. Nikki is post ride ready. Heading to post ride beers and want to get to know the rider who just moved to town? Run into the restroom to rinse the sweat and dust off your face then apply Aeemelia face oil to your skin to put a glow on your cheeks. Plus, it will fight the damage done from the sun! Aeemelia Everyday Face Oil Retail $65 and use our discount code KSKENDA for 20% off of your order. Emma out for a night ride with the local posse. Extend their ride time window (and safety) with a serious night riding light kit. We’re talking 8000 Lumens blasting out from the Magicshine MJ-908 Bicycle Light to fly the descent way after the sun has set or to be seen by traffic on the way to the trailhead. We’ve used this budget friendly light in 24 hour races and post work bike park sessions. Pair it with the MJ-886B headlamp that easily attaches to your helmet and darkness will not be a deterrent for getting out there. Jen getting a chance to do some reading for fun while on the road. Time on planes ofers a rare opportunity for many of us to read. Traveling to Bentonville, AR for Epic Rides OZ Trails, Emma read the story of Gino Bartali who not only was a Tour de France winner, but smuggled identity papers to help Jews escape documents in his bikes down tube. Who says riding a bike can’t save the world?